Find real estate listings for Knoxville, Arkansas. Learn about Knoxville, AR, including current homes for sale, school information, and area reviews, from a local RE/MAX real estate agent. RE/MAX Arkansas real estate agents can help you find homes for sale, condos, commercial property, and more. Did you know that the Johnson County Area has many lakes, rivers, streams, and tributary's that make this a great place for recreation and waterfront living? There are many homes situated on Piney Bay, The Arkansas River, and Lake Dardanelle. You'll find waterfalls along the numerous hiking trails throughout the county. Whether you're just visiting for the day or have lived here your whole life, you can always make a fun filled day with friends, family, and nature! Today is Groundhog Day and no shadows were seen by the groundhog. It is hard to imagine that Spring is just around the corner. Today, it was 69 degrees! Very confusing as it seems like Spring already.We have been experiencing a fairly mild winter in Knoxville and the surrounding area. The weather forecast is calling for some rain and cooler temperatures over the next few days. I believe we can handle that. With blizzard's on the East Coast and torrential rains on the West Coast causing flooding and sinkholes, I would say that Arkansas weather is alright...no complaints here! Gotta love Arkansas! I enjoy my propane heating system. I originally installed the propane wall heater in the living room of my home as an emergency, supplemental source of heat during brief power outages. I find that gas heat is a warmer heat than that produced by the electric heat pumps, so I actually use it daily to supplement the central heat and air units that are electric. I call Amerigas, the propane gas supplier, and fill up my rented tank annually. In the past I have installed propane heaters throughout the house I was currently occupying, as well as propane hot water heaters, and ranges, so when the power outages occur you are more than prepared! Knoxville is just a hop, skip and a jump from Clarksville. We have several large industries in this little community as well as a beautiful river with inlets. Piney Bay Estates is right on the Piney Bay inlet which is an inlet of the Lake Dardanelle/ Arkansas River. There is a wonderful camp ground up 359 Hwy which has a swimming area with grills if you just want to hang out at the lake for a day. The camp ground has electric and water hook ups for those of you who would like to stay for more than a day. My Husband and I live not far from Piney Bay Estates and we have two acres of land which is secluded and makes us feel like we are just out in woods. We love Knoxville, you can jump on the interstate and be in Lamar or Clarksville within ten minutes or be in Russellville within 15 minutes. It is just a wonderful place to call home!! JRMC has announced that Nancy Hill will be the New Chief Nursing Officer! 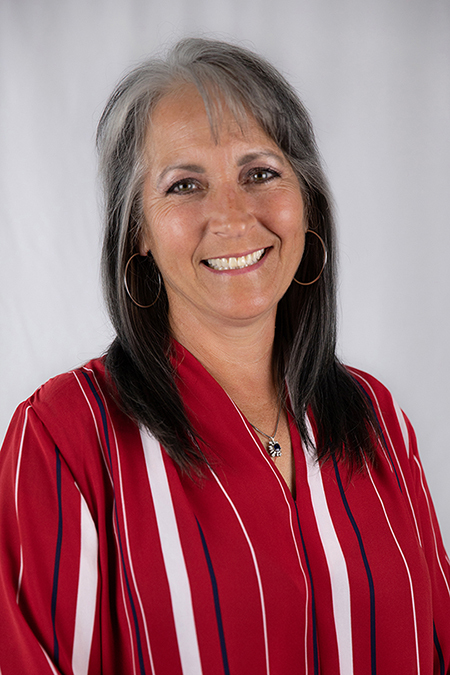 Nancy has been a long term resident of Johnson County and has served the hospital as Home Health Supervisor, Nursing Director, and now as the Chief Nursing Officer. Johnson County coverage includes the Clarksville, Lamar, Knoxville, Coal Hill, Hartman,Hagarville and Ozone areas. With such advanced medical technologies, patients come from inside and outside the Johnson County area to see their physicians and utilize the hospital services. If you're thinking of relocating to the area, I'm sure you'll be surprised at what Clarksville has to offer. Knoxville is perfectly located! It lies between Clarksville and Russellville. You can jump right on the interstate and head east to Little Rock or west to Fort Smith. Its boundaries are adjacent to Lake Dardanelle in places. Beautiful homes border the edge of the water. 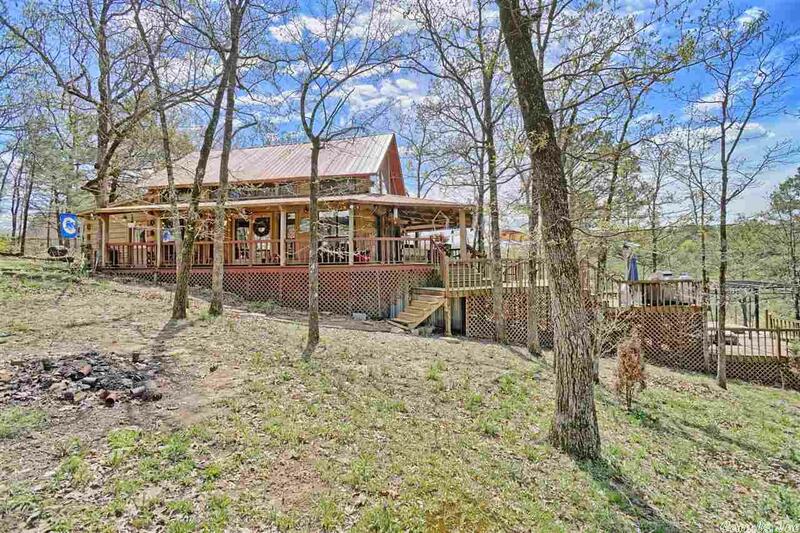 Bluffs overlooking the lake offer panoramic views. Also you can drive to Walmart in Clarksville in ten minutes or Krogers in Russellville in 15. Today we walked several lovely properties. One was right near the Lamar Riding Arena. It's a country style home with wrap around porches, western tile backsplash, pastures with horses, and a barn with stalls. Another was built of native rock at Knoxville. It has rock flower beds, rock cooking area outside, and even a rock bridge over a drainage ditch. There is a large shop with big overhangs on the sides. We walked the pasture and wooded area that provides seclusion. Another property we viewed offers a two story house within view of the Arkansas River and approximately 10 acres of pasture. With spring comes pollen. I walked through some spiderwebs today, but one I had stuck on my hat was yellow with pollen. That was sort of funny. It looked more like string with all the yellow.